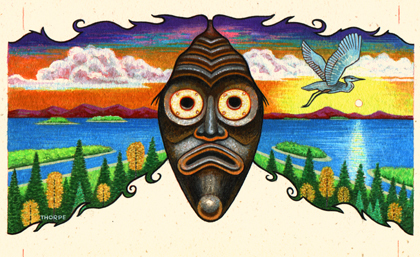 Cover art for the 1992 Warner Books paperback edition of A Dream Like Mine by M. T. Kelly. Illustration by Peter Thorpe. 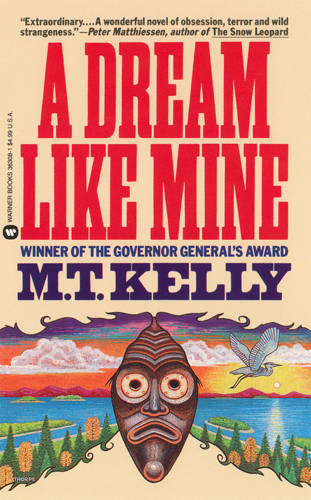 Cover of the 1992 Warner Books paperback edition of A Dream Like Mine by M. T. Kelly. Design and illustration by Peter Thorpe. The paperback edition of A Dream Like Mine by M. T. Kelly was released by Warner Books in 1992. Design Director: Jackie Meyer. Design and illustration: Peter Thorpe. The original art for A Dream Like Mine is for sale, framed with the cover, by Parrish Books. Select Peter Thorpe framed originals are available throuh Parrish Books.